Receive exclusive coupons and gardening tips! Transplanting perennials is pretty straightforward if you get a few key things right – in theory, anyway. Sometimes, no matter what you do, a plant just won’t like being moved. Hopefully, though, the suggestions below will improve your chances of success. Do your research. Some perennials simply don’t like to be moved. It’s not that they can’t, but it needs to be done carefully, and sometimes the risk is just too great. Plants with deep taproots, for example, can be difficult to dig up. Others are very forgiving. I had an abandoned clump of daylilies sitting on concrete for years, bare roots sticking out, soil gradually washing away, and they kept blooming! Some are very particular as to depth of planting, or they don’t flower well. For example, irises (a plant that responds well to being divided and transplanted) like the tops of their rhizomes to be even with or just below the surface. Before transplanting anything, it’s always best to know its growing requirements. Many plants require good drainage, a big concern in my clay soil, so I amend my beds with organic matter and plant those that are very sensitive to drainage problems on small berms or in raised beds. Avoid transplanting when it’s hot (or even warm and sunny if the air is very dry and breezy). The ideal conditions are fairly cool, cloudy, and with rain expected in the next few days. (That said, many people recommend moving irises in July and August, after they’ve bloomed…there are always exceptions!) Also avoid transplanting when a plant is flowering, as that is an added stress. I do it sometimes, but I cut off at least half the flower stalks and any flowers that are setting seed. If I must transplant during hot weather, I cut off any flowers and also about a quarter of the foliage in order to lower water loss. Some people say you should cut off all foliage when transplanting, but this can trigger a plant to put resources into shoot growth at a time when they should be growing new roots. Transplanting too late in the fall may be a problem if the roots can’t get reestablished before the ground freezes. Prepare your new hole before transplanting. Make it large enough that roots can be accommodated more or less as they are to begin with (you may have to enlarge the hole after you’ve got the plant out of the ground) . Don’t make it so deep that water will pass right through the root zone and collect below it. 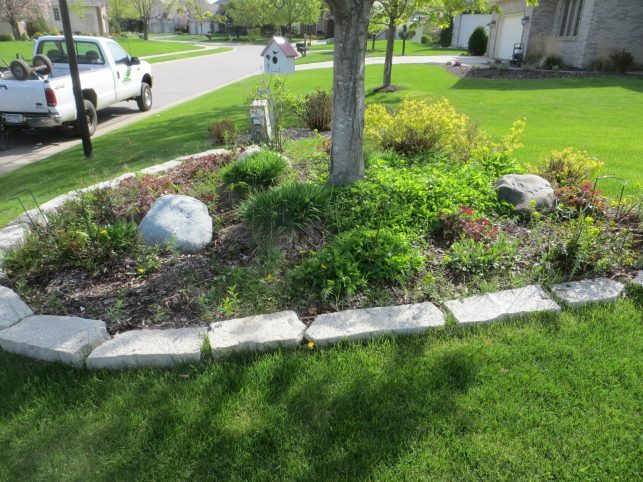 Even if you tamp the soil around the plant once it’s in, chances are it will be more permeable than the surrounding undisturbed soil. You can picture it like a colander with very small holes: when you water, you want it to wet the whole root zone (filling the colander) then “drain” into the surrounding soil. If the sieve is too deep, water could flow down without wetting the whole root system. On the other hand, if the drainage is really poor you might want the make the hole deep and wide so that excess water has a place to go, but generally wider is better than deeper. Another problem with a deep hole is that the plant will sink over time, and end up buried too deeply. Sometimes plants moved from dense shade to sun will burn, and may need to be covered for a few days or a week with shade cloth, a light sheet, or something similar to block out the midday sun – even an inverted laundry basket would help. Good luck and keep on growin’! 1415 5th Street South Suite E.
Schedule your appointment for a free consultation.